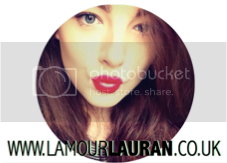 L'Amour Lauran: REN Glycolactic Radiance Renewal Mask.. This little beauty has taken the beauty world by storm; containing the 'it' ingredient glycolactic acid, this is a chemical exfoliant and claims to renew the complexion, reduce the appearance of fine lines, improve skin tone and combat blemishes (to name just a few). The thought of using acid on my face did make me a little wary, but glycolactic acid is derived from fruit and works to loosen dead skin cells which make the complexion look dull and lack lustre. The REN Glycolactic Radiance Renewal Mask is a 'peel mask' which chemically exfoliates the skin to reveal a smoother and brighter complexion. Products like this are great for oily skins such as mine as it reduces the amount of oil on the skin, reducing the likelihood of breakouts from blocked pores. As far as face masks go, this is certainly unusual, from its marmalade texture and citrus scent to the tingly felling it leaves on the skin. After leaving this on my face for the advised 10 minutes and washing it off, my skin felt amazing and looked really healthy. All other products I used afterwards just sunk straight into my skin and seemed far more effective than usual. Obviously this is only a small amount, and there has been no drastic improvement in my scarring, but I have seen fading on the smaller areas and breakouts seem to have reduced after using it once or twice a week for a month or so. Overall, I really want to purchase the full sized version, as with any skincare regime, it takes time to see its full benefits. 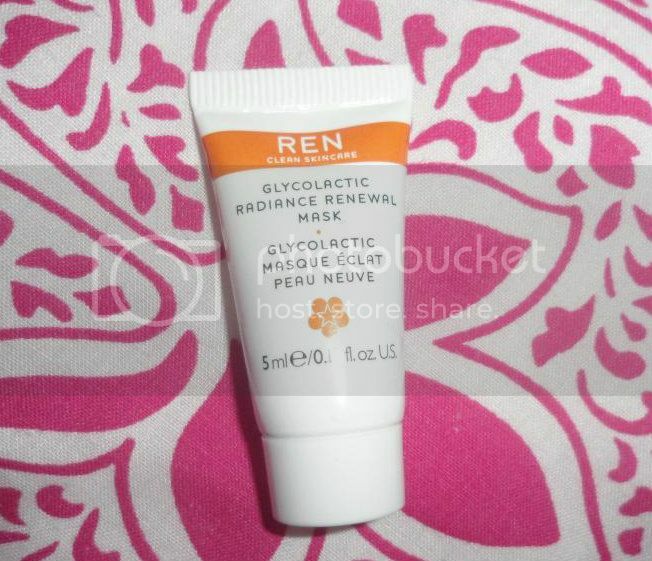 Have you tried anything by REN?